I came across a new term this week: Performance Adjacent Learning. I'm not sure it's completely new and the idea behind it isn't completely new. It appears that as the context for a particular discipline constantly evolves, with new technologies and associated changes, our vocabulary can become inadequate or insufficient. My hypothesis is that this creates opportunities for the Subject Matter Experts who have a deep involvement in the topic to invent new terms to fill in the gaps in vocabulary. Sometimes it sticks and sometimes it won't hold. I can't tell if Performance Adjacent Learning is the next big thing as a term, but I can relate to the idea behind it. In short (my interpretation), we need to pay more attention to learning that is happening "in the flow of work" as opposed to learning that happens outside of the work flow. Learning that happens outside of the work flow can happen at work (corporate training for example) but it is typically separated from doing the work. 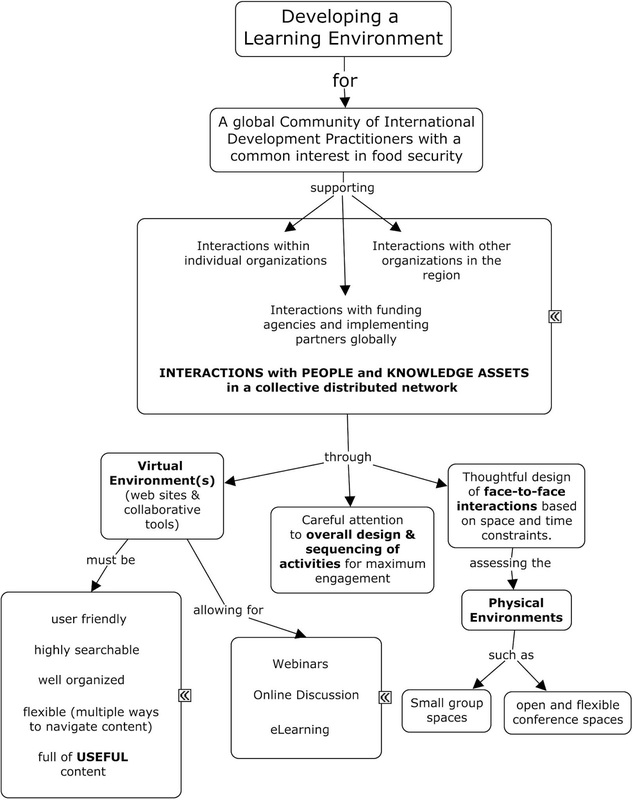 Even the learning that happens in the context of a Community of Practice, which is much more informal than traditional training, is not necessarily "in the flow of work" and while very useful overall, does not necessarily provide immediate support for the accomplishment of a work-related task. CoPs could be an avenue for more Performance Adjacent Learning if they are structured for that. What professional development courses am I taking or should I be taking this year? What are the books / blogs and podcasts I should read or listen to to keep up with trends in my profession? I suspect that most professional do not think in terms of learning in the flow of work and asking people to engage in self-reflection regarding their work experiences is not an option that will appeal to everyone. The map below was created in the context of a Toastmasters Speech during which I focused on the benefits of the 5-Hour Rule. The 5-Hour Rule is a commitment to 5 hours of learning every week. That has often been interpreted as 5 hours of reading, but I think that would not be optimal for everyone... and the average professional no longer reads full-length books. 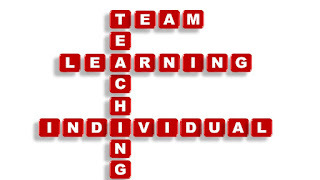 The core message remains that we are all individually responsible for our own learning. The 5-Hour Rule is not necessarily the right approach (at least not all the time) because it clearly separates the learning from doing. However, to get the habit of learning started, it's a smart way to dedicate time to learning. Once the habit of learning is established as a thinking habit more than a dedicated time, then it can be embedded into the workflow more easily. The same is true for other habits. Let's take exercise. To commit to exercise and stick to that commitment, it may be worthwhile to establish a specific goal of a certain amount of time every week spent exercising. Let's say 3 times a week for 30 minutes of running. That's the equivalent of the 5-Hour Rule. It's a set goal that's easily measurable and trackable. Once you've established a certain level of fitness and comfort with physical activity, it is easy to switch from taking the car everywhere to biking or walking, for example. Physical activity becomes embedded in the flow of life as opposed to the scheduled trip to the gym. This idea of embedding rather than separating activities is also something I have tried to work on within Knowledge Management by arguing that Knowledge Management needs to be embedded in the flow of work so that it is not limited to 1) a lessons learned exercise at the end of a project or activity; 2) the responsibility of the KM office or lone Knowledge Manager. I have been participating in a MOOC on a French MOOC platform called FUN. I've done MOOCs on that platform in the past and it helps me practice my French in useful educational contexts. This current MOOC is called "Leaders of Learning: Les pilotes du changement." It's a collaboration between Harvard X and a French institution and the main lectures and materials are clearly from Harvard, in English, while the course has been adapted to include instructions, quizzes, writing prompts and discussions in French. It's an interesting blend. Usually I don't like mixing the two languages because I find it more taxing on brain cells to be constantly switching but I've been using my French language skills more in the past few months and I've noticed that I no longer notice the switch. It just happens unconsciously. That was a digression. I really want to talk about the meat of the course, which is a "Modes of Learning" framework developed by Professor Elmore from Harvard University. The framework presents four quadrants. The top two are about individual learning and the bottom two are about collective learning. The two quadrants on the left are about hierarchical learning and the two quadrants on the right are about distributed learning. The two distributed learning quadrants are the modes of learning I am most interested in because they correspond better to adult learning situations. 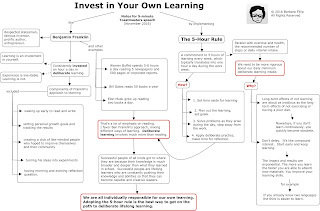 Individual distributed learning is typical of the modern adult learner who is very self-directed, motivated to learn and relatively knowledgeable about how to identify what they want to learn, define how they are going to learn it just go learn. This does not mean that they necessarily learn alone. 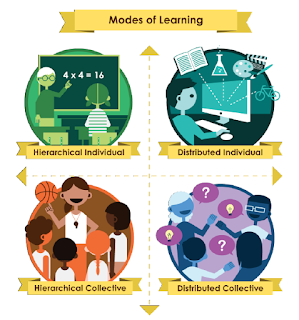 It is "distributed" learning because the self-directed learner will find individuals with similar interests to connect and learn with as well as mentors and subject-matter experts to tap into. In an organizational context, there is a need for L&D departments to pay more attention to this distributed learning and Performance Adjacent Learning (just learned this term, had to use it) and focus less on formal, individual hierarchical learning which happens in the context of traditional training programs taught by Subject Matter Experts. Collective distributed learning is found in the context of Communities of Practice where there is a common goal and a sense of community. Learning is not just in the service of the individual but rather in the service of the community as a whole. This type of learning is also very important within organizations to help address issues related to organizational memory and knowledge sharing in the context of Knowledge Management and Organizational Learning initiatives. - What if we train our employees and they leave? - What if we don't train them and they stay? 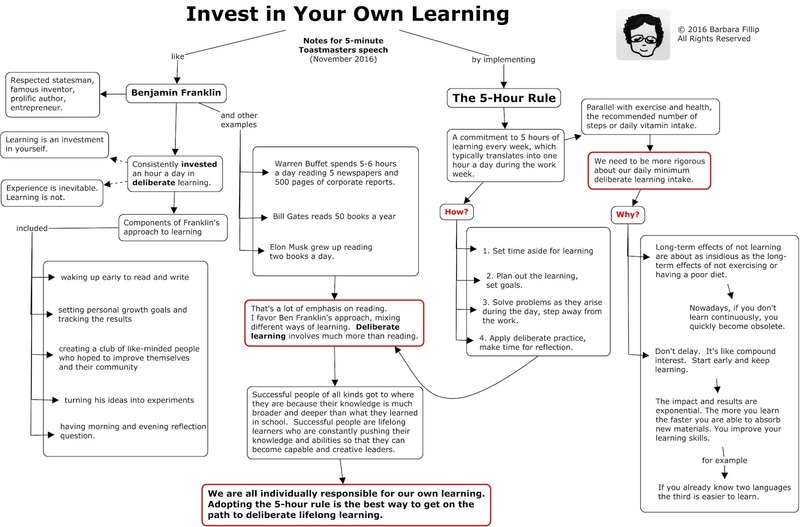 I would change the wording to something closer to learning rather than training. - What if we encourage our employees to learn and they leave? - What if we discourage learning and they stay? The smarter approach is to encourage employees to learn both individually in a distributed learning mode that would address personal incentives and motivations for learning AND encourage them to participate in collective distributed learning so that even if they leave, they have been sharing their knowledge on an ongoing basis with their peers. I would love to find an example of an organization that has successfully combined an L&D-driven approach to individual distributed learning with a KM-driven approach to collective distributed learning. My UMUC Knowledge Management students are dealing with the issue of organizational memory this week, thinking about ways to prevent knowledge from getting out the door when employees retire or go work for the competition. While the first reaction is always to say that we need to "capture" their knowledge before the employees leave, I always try to push for a broader, more long-term approach that encourages knowledge sharing approaches that ensure that when someone is getting ready to leave, they have already shared what they know through Communities of Practice, mentoring, apprenticeships, shadowing, storytelling and knowledge sharing workshops for example.